It has become the norm for women to be hairless everywhere on their body except for the head. This is a strange phenomenon as 30 years ago, this simply was not the case. However, now it is defined as “hot,” and if you are preparing to go swimming, it seems like you simply have to get all the shaving you need done. The problem with using a razor is that the hair grows back way too fast, and it can tend to grow back thicker. If you have darker hair, this is especially true and can be a real problem for you. This is why a lot of women tend to go get their legs waxed and sometimes get a bikini wax in order to rid their body of hair. This can be a painful process, but it does rid the hair for a longer period of time. However, going to a waxing salon will add up in price, especially if you have to do it several times a season, which is why women would rather do it themselves at home. 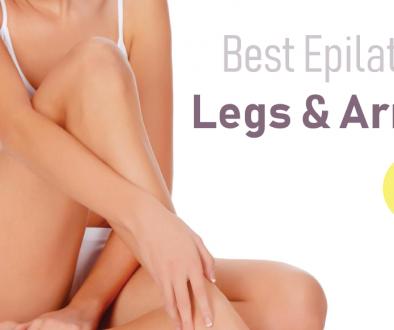 Many women opt to use an epilator. This is an electrical device that grasps hairs by their root and pull them out. This has the same effect as waxing, and if you find a great epilator it will actually keep hairs off for up to six weeks at a time. This is an incredible device. 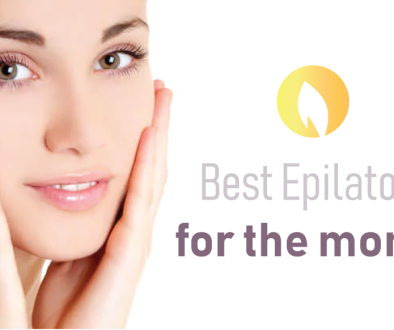 There are so many epilators on the market right now that it can be difficult to know which one to purchase and which to stay away from. Today we are going to be taking a look at one of the most popular models: the Epilady Legend – 4th Generation Rechargeable Epilator. The Epilady Legend – 4th Generation Rechargeable Epilator has been created by the great company, Epilady, which is known for making high-quality epilators at competitive prices. 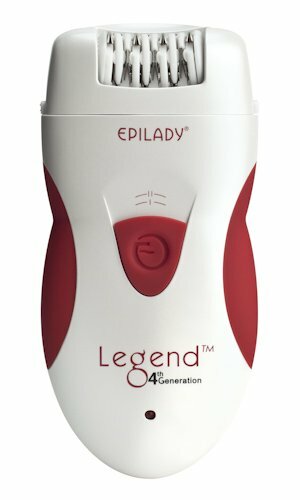 First off, the Epilady Legend – 4th Generation Rechargeable Epilator can remove even the smallest hairs from your leg. Rather than just trimming them down, they are able to remove these hairs at the root, having the same effect as getting them waxed. This leaves the skin feeling very smooth, and it will last up to six weeks. It is a lot more effective to use this epilator than a razor, as hair will not grow back as fast. The motor is very fast and can get up to 32,000 tweezes every minute. This comes with a dual voltage power adaptor (can be used with 110V and 240V) making it great to take on trips as it can be used throughout the world. This device is to be used on your arms, legs, armpits, bikini area, and on the face if you have any unwanted hair. There are also two operating speeds to choose from, depending on the sensitivity of the area you are working on. This is a new device that is extra quiet while using it, and the head is very wide, allowing you to get hair at any angle. It can contour to the shape of your body, no matter the size. There is a rubberized grip to ensure that you always have a firm grip and that it will not slip out of your hands. This also comes with a cleaning brush to make the cleaning process easy and efficient. After testing out the Epilady Legend – 4th Generation Rechargeable Epilator ourselves, we can safely say that this is a great epilator that is easy to use and gets the job done. We recommend if you purchase it to always have it plugged in, as wirelessly it just does not seem as powerful, which is unfortunate. There are two speeds to choose from, and it can tweeze the hairs incredibly fast, leaving a smooth skin anywhere you use it.